Hey everyone! Welcome to my first post of the week. 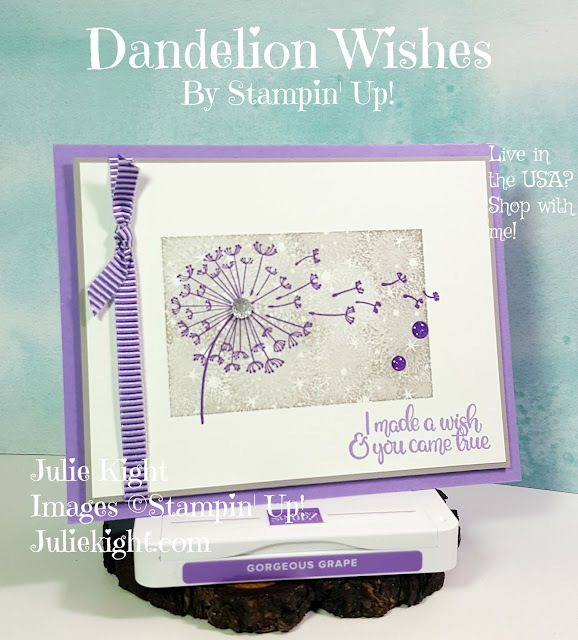 Today I have a card I made using all Stampin' Up! items. First, I used two stamp sets; Friendly Wishes, and You've Got This. 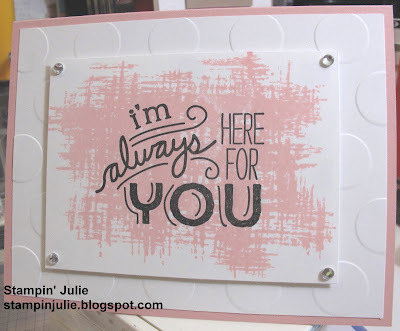 I first stamped the background stamp from You've Got This using Blushing Bride on a piece of Whisper White. Then I stamped the sentiment on top from Friendly Wishes in Basic Black. I then put rhinestones in each corner. 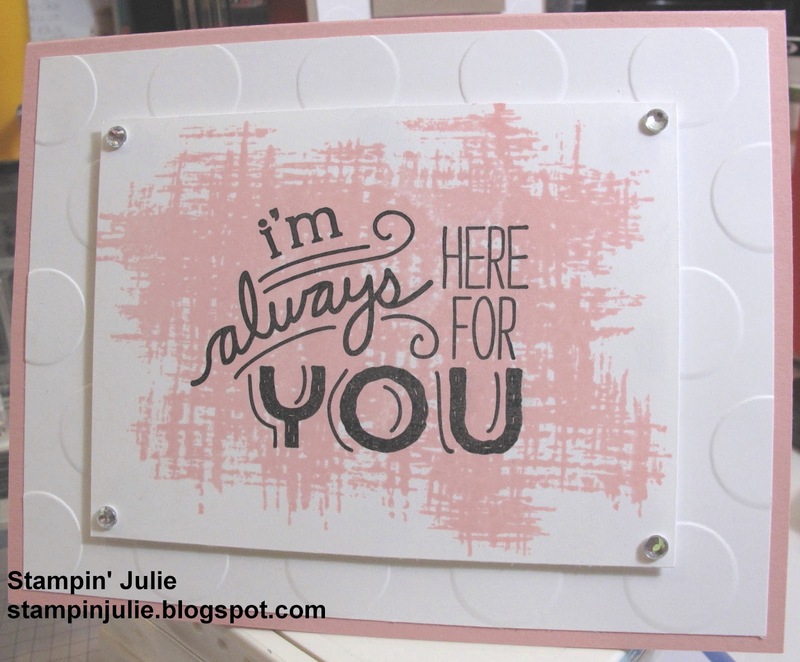 Next, I embossed the bigger piece of Whisper White with the embossing folder Large Polka Dots. I then placed the smaller piece on the larger piece with Stampin' Dimensionals. Next, I adhered the whole thing onto a card base of Blushing Bride to match the background ink color. Here are all the items, if anything catches your eye just click on it and it will take you to my store. Well thank you very much for coming to my blog. Any friend would love to get this card and would thank you for it. So give this card a try and show a friend how much they mean to you.